It’s a local favourite come summertime: lounging in an inflatable raft while coasting down the Bow River, admiring the view of the approaching downtown skyline. 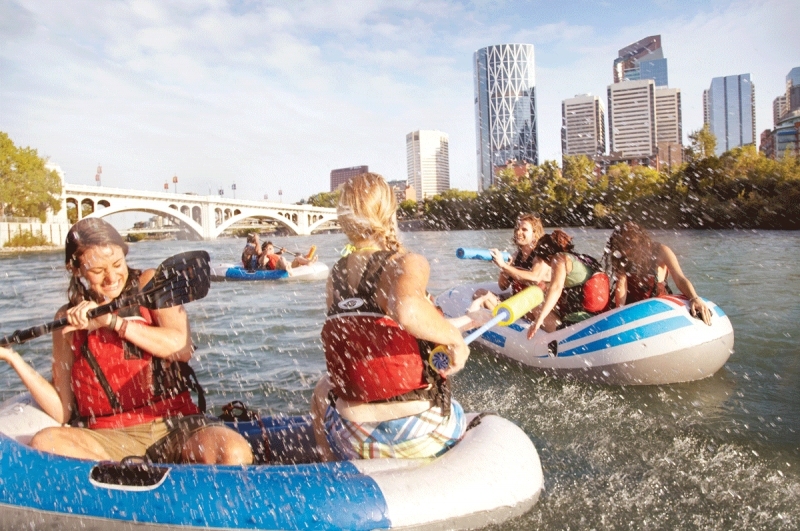 If you don’t have your own raft, you can rent from various sports-specific venues including Lazy Day Raft Rentals, Rapid Rent Outlaw Sports and the University of Calgary Outdoor Centre. The Paddle Station rents rafts and kayaks out of three mobile rental stations right along the Bow River. While the rapids down the Bow are Class 1 rapids, (the only section with Class 2 rapids is by 10th Street N.W. 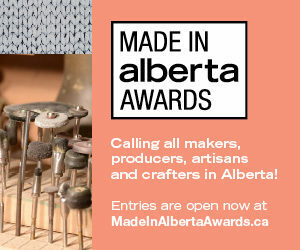 ), Calgarians still need to be aware of the hazards out there to make sure their trip is safe. Harry Daley, the owner of Lazy Day Raft Rentals, shares the essential tips when it comes to rafting down the river. Knowing your route means you can properly plan your day. This needs to happen before you leave the house. Daley says that some rafters will start from Baker Park and now that the west side of Bowness Park has reopened, most rafters are choosing to start here. Popular end points are Prince’s Island, Shouldice Park or Edworthy Park. Be ready for the trip by making sure you’ve packed enough water and plan to spend some time picnicking at whichever park you end at. Before you even step foot in the raft, make sure you have everything you need. It’s common knowledge that if you’re rafting on the Bow or the Elbow you should have a life jacket. But just having the jackets in the raft isn’t enough. Daley says that all rafters need to be wearing the life jackets for the entire duration they’re on the river. It’s also important to have a safety kit in case you do run into trouble. “Our safety kits contain a bailer, a throw rope and a whistle,” says Daley. “Having an extra paddle is also advisable in case one gets lost.” Lazy Day Raft Rentals rents the third paddle for no extra cost. Lazy Day Raft Rentals also has a shuttle service for rafters going upstream from the shop. (Shuttle service isn’t offered if you’re planning on rafting down the Elbow.) The shuttle runs from the Lazy Days Raft Rentals shop to most parks for $20. The shuttle service is for its rental customers only and can transport up to four people. The shuttle must be reserved in advance. The Paddle Station also offers a shuttle service if you’re renting through that company. Daley says there are no new dangerous areas that rafters need to be particularly cautious of, but rafters should be cautious as they enter downtown. It’s also important to check weather reports before heading out on the raft. If you do get stuck in a hail storm while you’re on the river, Daley recommends that you paddle the raft to the river bank and use it for shelter until the hail stops. Daley says that most people will finish their rafting trip at Prince’s Island because it’s easy to exit and there’s lots of free parking for Lazy Day Raft Rentals customers by the Curling Club. However, it’s important to know that it’s rocky there. “A lot of people forget that and don’t wear the proper footwear,” says Daley. To avoid injury at the end of a fun day of rafting, be aware of the rocky riverbed and watch where you step.